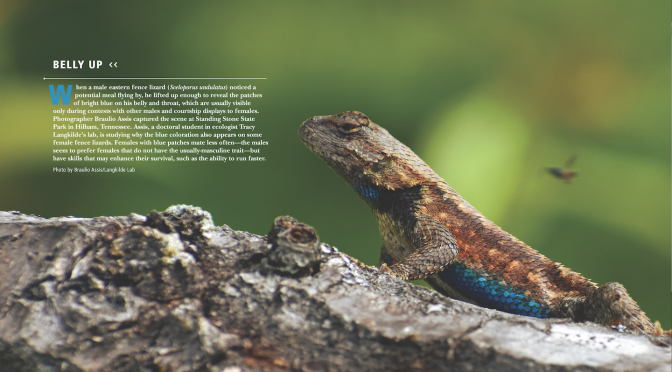 The winner of our spring At Large contest is this photo of a male eastern fence lizard (Sceloporus undulatus) lifting up to get a better look at a potential meal flying by. Photographer Braulio Assis captured the scene at Standing Stone State Park in Hilham, Tennessee. The bright blue patches on the lizard’s belly and throat are usually visible only during contests between males and courtship displays to females. Assis, a doctoral student in ecologist Tracy Langkilde’s lab, is studying why the blue coloration also appears on some female fence lizards. Females with blue patches mate less often—the males seem to prefer females that do not have the usually-masculine trait—but have skills that may enhance their survival, such as the ability to run faster. 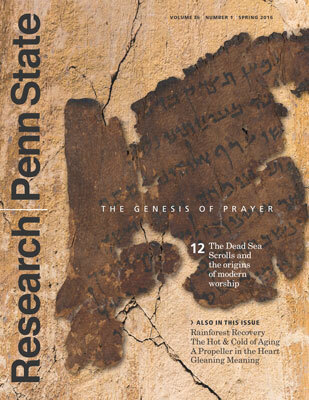 The photo is featured in the Spring 2018 issue of Research/Penn State magazine, which just arrived on campus. Thank you to all who sent images for consideration in this contest. We now announce the contest to find another superb image for the At Large pages of our Fall 2018 issue. In addition to publication in Research/Penn State, the winner will receive a high-quality print of the At Large spread, suitable for framing. Deadline for submission is Monday, July 9, 2018. Image must relate to research being conducted by someone at Penn State. Image must be a strong horizontal so it can completely fill a two-page spread, and must be visually compelling. Image must be available at high resolution, at least 300 dpi at a size of 11” x 17”. Keep this in mind as you shoot, especially through microscopes. We have had to eliminate beautiful images from consideration because they were not shot at a high enough resolution to be enlarged to publication size. 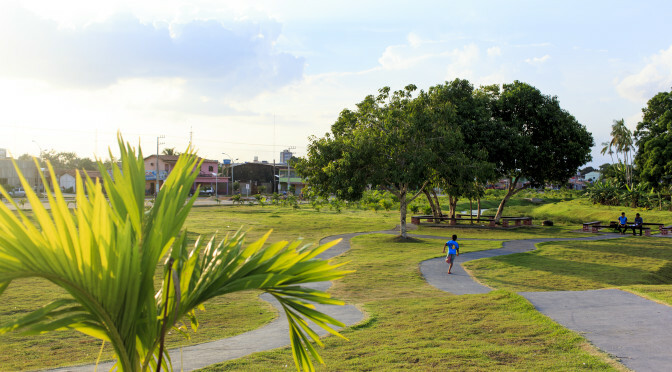 Image can be a scenic, close-up, or micrograph. 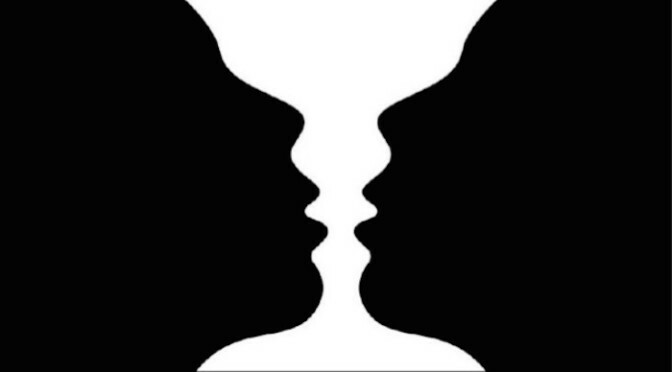 It can be realistic or abstract, color or black & white or colorized. Archival shots will also be considered. Previous winners can be seen here, here, and here. Although we may use a shot with a person (or people) in it, portraits will not be considered. You may submit more than one image, but please be selective; do not send a link to an entire collection of images and expect us to look through them all. Please provide basic information about the image, such as where it was shot, by whom, and what research it relates to. Please send your photos to Cherie Winner at clw43@psu.edu. Lo-res versions are fine at this stage. If we select your image, we’ll ask for the hi-res version. For more information, drop me a line via email or call me at 3-4750. 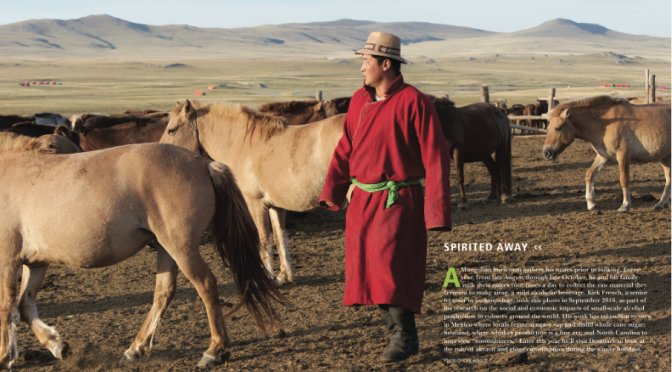 The winner of our fall At Large contest is this photo of a Mongolian horse herder gathering his mares prior to milking. The photo is featured in the Fall 2017 issue of Research/Penn State magazine, which arrived on campus last week. Every autumn this horseman, like others in the region, harvests milk from his mares and ferments it to create a mild alcoholic beverage called airag. Kirk French, a senior lecturer in anthropology, took this photo in 2016 as part of his research on the social and economic impacts of small-scale production and use of alcoholic drinks in cultures around the world. His work has taken him to Mexico, where locals ferment agave sap and distill whole cane sugar; Scotland, where whiskey production is a fine art; and North Carolina, to interview moonshiners. We now announce the contest to find another superb image for the At Large pages of our Spring 2018 issue. In addition to publication in Research/Penn State, the winner will receive a high-quality print of the At Large spread, suitable for framing. Deadline for submission is Friday, January 5, 2018. If you’re looking for a holiday gift—or a special treat for yourself—consider a book by a Penn State author. 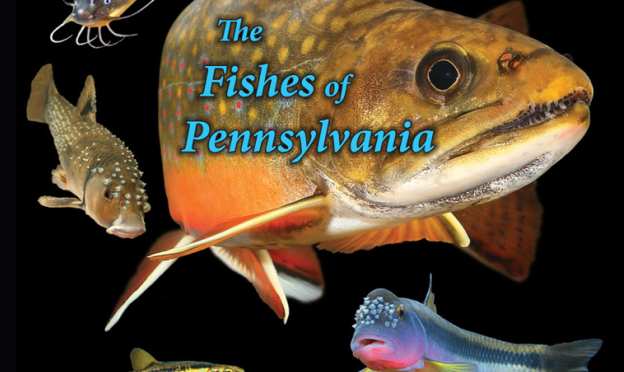 In addition to their scholarly and technical works, many PSU faculty members also write books with a general audience in mind. Here are a few we’ve heard about in recent months. Take a good look at the photo below. 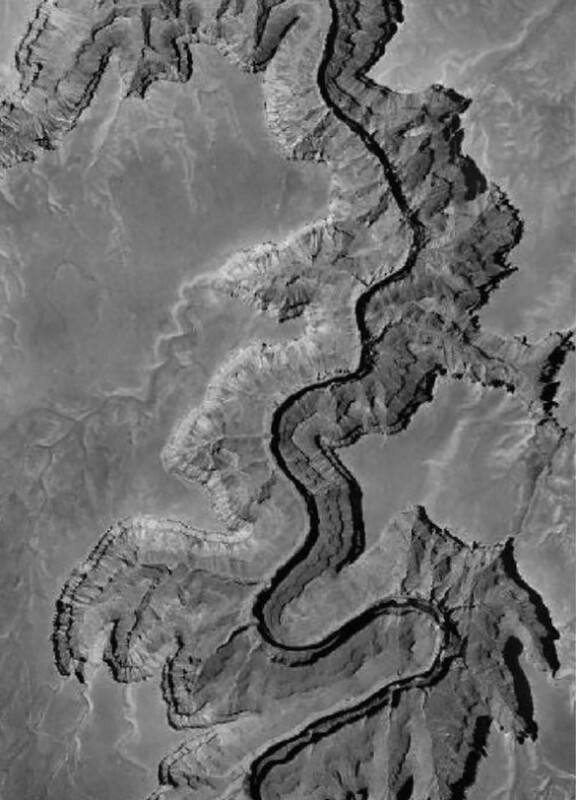 Shot from a satellite, it shows a section of the Grand Canyon, with the dark ribbon of the Colorado River winding through it. Notice anything “off” about the image? Especially in the upper portion and in the area of the big hairpin turn at lower right?